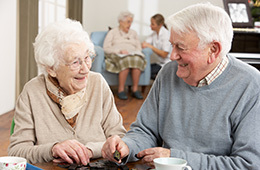 DeSmet Retirement Community provides accommodations plus services for a simple monthly rent charge. At DeSmet Retirement Community there are no buy-in fees incurred by residents. At the time of move-in, residents submit pro-rated rent for the month of move-in. Residential Living – Pricing varies depending on the size of the apartment. Rent includes utilities and basic cable (television and telephone are not included). There is a $25 fee per month for internet. 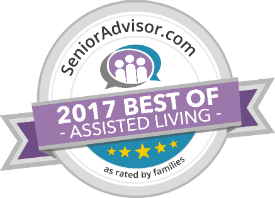 Assisted Living – Fees include base rent. Care will be assessed prior to move in and during the move-in process. Care level may be changed as the resident’s needs change. Medications and personal supplies are not included. DeSmet Retirement Community is part of Retirement Housing Foundation, a national, non-profit organization.